Since June, there have been some fairly well-supported rumors that Facebook is planning to implement its own mobile payment system. Details from Project Spartan emerged last month and made it pretty obvious that Facebook was working on a way to get around the extremely tight grip Apple’s App Store has on mobile consumers. Now Bloomberg is reporting that the Project Spartan is underway. “Facebook Inc. is in talks to let developers sell virtual goods within mobile Web browsers, part of an effort to generate more revenue from smartphones and tablet computers,” insiders say. Social networking sites are seeing huge boosts in their mobile traffic, and Facebook’s mobile data capacity increased 166 percent (in terms of bandwidth) since the beginning of 2011. And Facebook’s well aware of the importance of its mobile presence – and more significantly, how to further develop it. When Apple introduced iOS 5 recently, it announced a deep Twitter integration with the updated operating system, which begged the question, why not Facebook? One theory is that Facebook’s mobile ambitions have made it wary of partnering with such an established platform. Facebook needs to find a way to profit off of all the smartphone-bred traffic it gets. And mobile Facebook Credits are a start. 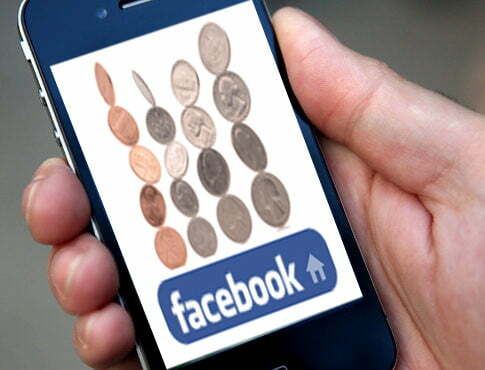 Until a payment system is implemented, Facebook will continue to lose out. When users playing Farmville or any other Facebook game purchase something via PC browser, the app’s developer and Facebook each get a cut. But when this happens inside the Facebook app, the mobile operating system manufacturer gets the money that Facebook would otherwise pocket. And considering the popularity of the Facebook app and mobile gaming, that adds up quickly. It’s become increasingly obvious that if users’ payment information is stored by Apple or Android or whoever, they are far more likely to make app purchases and in-app payments. We can’t blame Facebook for wanting a piece of that. The system will be built for the HTML 5 Web standard, as rumored, and a “select” handful of developers have been chosen for the project. You would be able to play any Zynga-Facebook games or use other applications without leaving Facebook, and obviously your Facebook Credits would be the currency du jour. Facebook is also considering including updating its homepage to include a News Feed for app activities, although this is largely based on speculation for the time being – and we’re hoping that if such a feature sees the light of day, there will be a clear opt-out option. Not sure about you, but we do not want constant and extremely visible updates about new “[insert anything here]-Ville” games.